NOTE: This content is old - Published: Friday, Jun 8th, 2012. 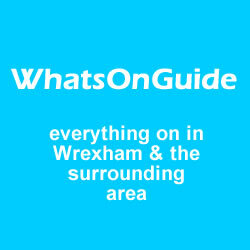 If you would like to see your event featured in our weekly What’s On Guide then e-mail details to news@wrexham.com call us on 01978 288288 or use the online contact form. Euro 2012 starts on Friday and we’ve made a list of local venues that will be showing all the games and some have put on special offers especially for the tournament. There are two gigs on at Central Station in Wrexham tonight, DIY-pop band Stealing Sheep are up first. Doors 7.30pm tickets £7. Later on The Roseville Band are also playing a free gig before they jet off to Canada to perform at this years NXNE 2012. Doors will be at 10pm, with The Roseville Band expected on at 11:15pm. On the same night The Fag Machine are on at The Commercial with support from Afterglow and with DJ Bloodsport. Entry is free. Doors 8pm. Children’s clothing sale at Hightown Community Centre all items only 20p. Free refreshments & children’s activities. 10am – 12 noon. 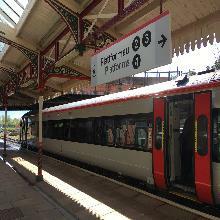 On Saturday night local indie rock band Shoot The Rabbit play their first headline show in Wrexham at the Saith Seren with support from Chester Rocks battle of the bands finalists The Strangers. Entry free, doors 8pm. There is also Red Alert at Kings Mills Pub 8pm £5 inc refreshments – its a 60s 70s 80s Disco hits function all are welcome! Nightingale House Hospice is holding its annual Summer Fair from 12.00 noon – 4.00 pm. Free admission to the event at Belle Vue Park, Wrexham, which will feature an It’s a Knockout competition. There will be a huge variety of stalls and attractions for all the family, including a fun fair, face painting, live entertainment, a circus workshop, bouncy castles, the hospice car raffle and more. The Only Way is Wrexham Heats take place at the Stiwt Theatre, Rhosllanerchrugog judging the very best talented individuals, groups and acts from across North Wales and the North West. Starts 7pm. Tickets £6 adults £4 concessions. If you fancy seeing a local band just 10 miles down the road Heal The Last Stand are playing at Telfords Warehouse in Chester. Starts 8pm, admission free.